I love my crock pot! I can throw all of the ingredients into it early in the day and let it do its job all day long. At the end of the day, my house smells great when I come home after being out all day. 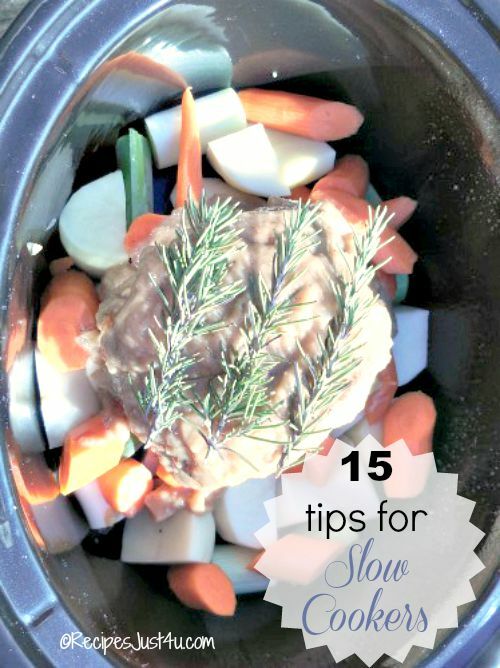 But there are a few cooking tips to make sure that your slow cooker meals work out the way you plan. 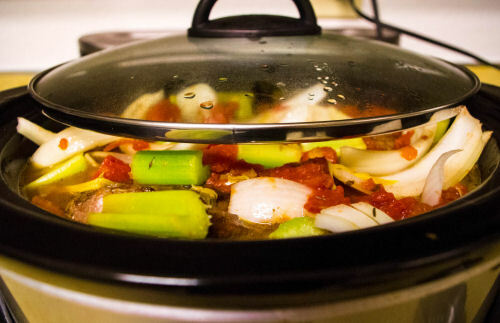 Slow Cooker Meals can Save Lots of time at the end of the Day. Crock pot recipes are a housewife’s dream. They make dinner time meal prep a breeze. But while the slow cooker is a set and forget machine, there are somethings you need to keep in mind when you use it. Not all crock pot recipes turn out perfectly if are guilty of any of the commonly made mistakes.If you are new to cooking with a crock pot, or just want a few refresher suggestions, these 15 tips will ensure that your crock pot recipes turn out perfectly every time. It is important to make sure the your recipe matches the size of the slow cooker that you are going to use. Crock pots come in all sizes. Some are perfect to cook meals for 2 people and others will feed a crowd. 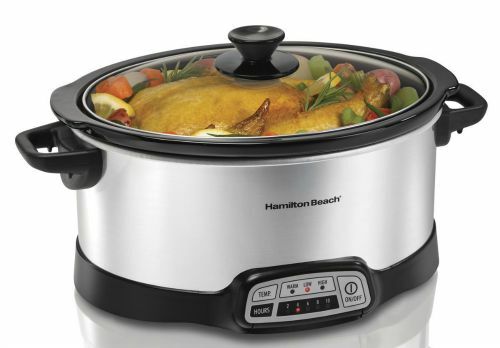 This Hamilton Beach model is a 7 quart slow cooker. My recommendations are 6-8 quart size. I have used smaller ones and they never seem large enough to do what I want to do for a recipe. 2. Brown your meat first. 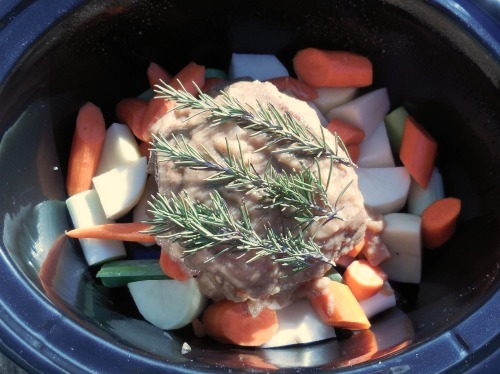 A slow cooker will not brown any meat (the same goes for a microwave.) If you take the time to brown your meat in a bit of oil before adding it to the crock pot, this will maximize the flavor. 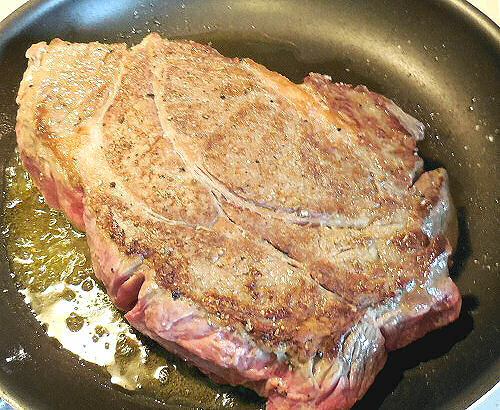 Adding flour to the meat before browning it also helps to thicken a sauce and can be done in the same step. You can even add seasonings to the flour to give the meat some extra flavor. 3. Choose the Right cut. Choose less expensive cuts of meat for your slow cooker recipes. Yay! This means that you should choose fatty, tougher cuts. 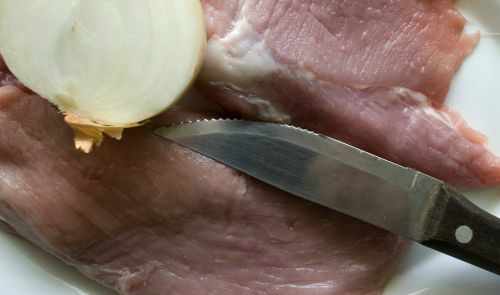 Lean cuts of meat can dry out quickly in a crock pot and are better saved for stove top cooking. 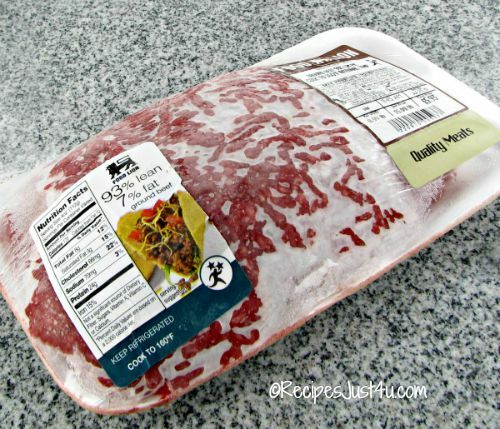 This allows you to let the crock pot tenderize your meat and save money at the same time. 4. Keep the lid on. One of the biggest mistakes that a cook can make when using the slow cooker is to keep checking it. Don’t do this. A crock pot works by trapping steam in the top of the container. If you open the lid, you will let the steam release and this will add to the cooking time. Set it and forget it ! It may be tempting to fill the pot to the top but resist this urge. Most manufacturers suggest filling a crock pot no more than 2/3. (check your manual. This can vary.) Filling it too full will mean extra cooking time and will not allow the steam to be trapped at the top, which is what is needed. Before you go to bed, make sure that the meat is defrosted and the ingredients are ready to add in the morning. This means an easy start to the day, as well as an easy meal time prep later. 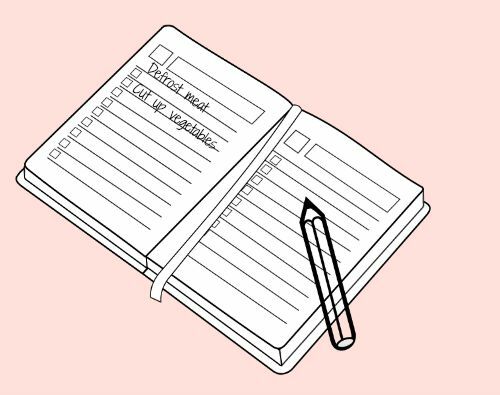 If you don’t plan ahead, you’ll be wasting time the next day gathering things and may just decide not to use the slow cooker at all. A timer on your crock pot gives you lots of flexibility about when you can cook a recipe. Some recipes only call for 4-6 hours of cooking time. That means 4-6 hours = not a whole day. 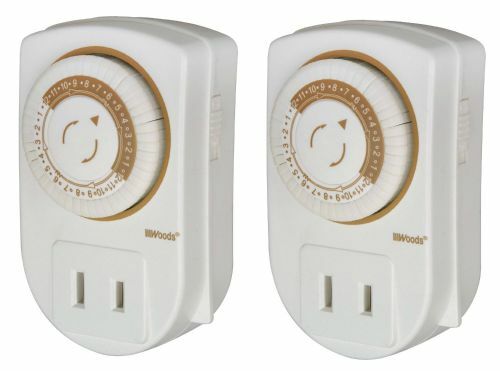 If you will not be around to turn the crock pot on, invest in a crock pot with a timer, or buy a mechanical outlet timer to use with the one you have. 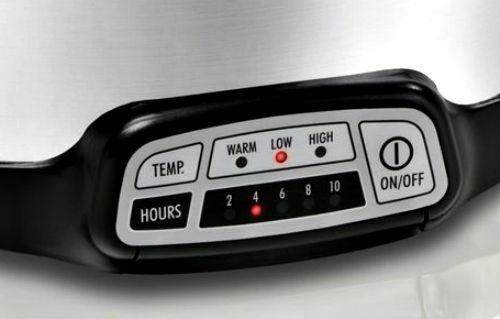 A timer also lets you cook the meal over night while you are sleeping, so you an wake up to an amazing aroma. 8. Be sure the meat is defrosted. If you use frozen food in your slow cooker meals, the temperature can fall to a dangerous range which will allow bacteria to grow. 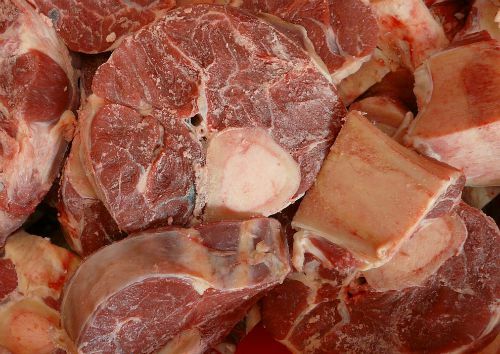 Be sure to defrost any meats that you will be using before adding them to the slow cooker. Frozen food also takes a lot longer to cook than thawed food does. 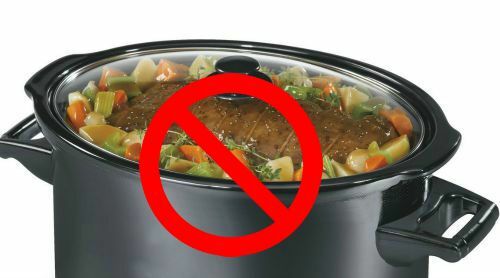 No one likes to scoop a meal out of the crock pot that is filled with fat! It just takes a few minutes to trim the extra fat on particularly fatty meats. If you don’t, you will end up with a very greasy looking casserole that no one will want to eat. 10. Save the dairy till the last 30 minutes. Check your recipe carefully. Not all ingredients go into the crock pot in the early cooking stage. 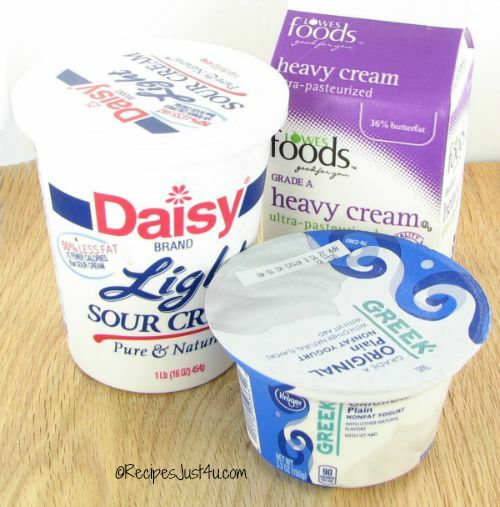 Some dairy products, such as cream, sour cream and yogurt, can break down in a slow cooker. It is best to add them in the last 30 minutes of cooking. 11. Go slow on the wine. Slow cooker meals often call for alcohol. 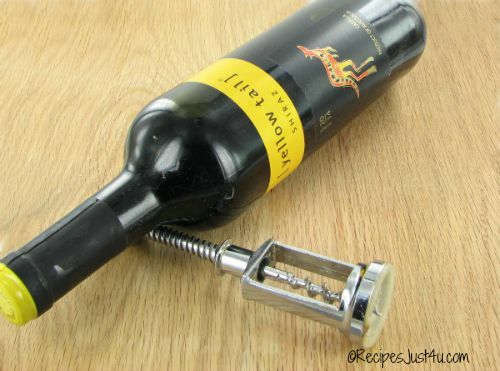 Wine gives a recipe a nice burst of flavor but it is used differently in the crock pot. A slow cooker does not evaporate the alcohol in winethe way a skillet on the stove does. Just a splash goes a long way in the crock pot. 12. Save fresh herbs for last. I prefer to use fresh herbs in all of my recipes but using them in the crock pot means that you have to make a few adjustments. 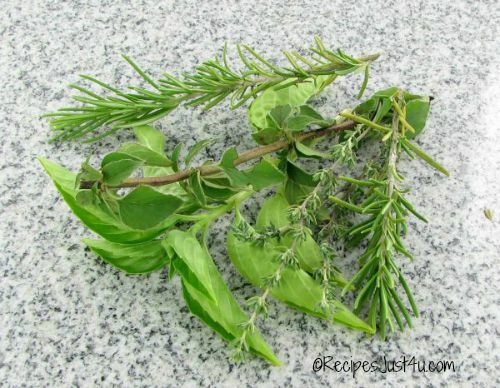 Fresh herbs are full of flavor but if you add them too soon to a slow cooker, you will lose most of the flavor. Add them at the very end of the cooking time for best results. 13. Layering in the key. Good slow cooker meals use layering well. Be sure that your vegetables are cut into even sized pieces and add them to the bottom. The meat is layered above the vegetables and any liquids are poured over all. As a general rule: Firm root vegetables go in first, softer vegetables next and meat on top. Placing the meat on the top also allows the delicious meat juices to add flavor to the layers below. Do you live at a high altitude? This can really affect the cooking time, both for the slow cooker and for the stove top. 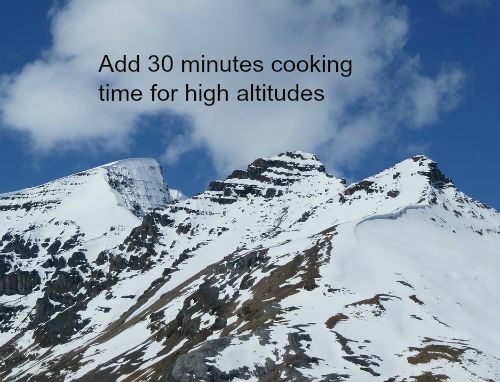 As a general rule, add 30 minutes to the recipe directions if you have in a higher altitude location for crock pot recipes. There is a big difference between how long to cook on low and high. For safety sake, it is best to cook on high for the first hour and then it is okay to reduce the temperature to low. The warm setting is just for keeping food warm after cooking. Do not cook with the warm setting for safety’s sake. A reader of mine suggested this tip that he uses to “preheat” the crock pot to shorten the cooking time a little. Make sure to have all your ingredients ready for best success with this tip. First, run your tap water until it gets very hot. Next, remove the ceramic liner and invert it and run it under the hot water for 5-8 minutes. Finally, turn the liner over and fill it with hot water and let it stand for 5-8 minutes. Pour out the water and be very sure to dry the outside of the ceramic liner. Fill it quickly with the ingredients, cover and turn on the slow cooker. Now that you know how to get the best out of your slow cooker, how about trying some great recipes. You will wonder how you ever cooked without a slow cooker, when you sample these delicious meals! 1. Slow cooker Pork with Applesauce. 2. Slow cooker Cinnamon Almonds. 3. Slow cooker Italian Dinner Rolls. 4. Slow cooker Chicken Curry. 5. Slow cooker Hot Chocolate Oatmeal. 6. Slow cooker Pork Chops. 7. Slow Cooker Brown Sugar and Garlic Chicken. 8. Slow Cooker Turkey Breast. 9. Slow Cooker Berry Cobbler. 10. Slow Cooker Honey Maple BBQ Ribs. 11. Slow Cooker Maple Mustard Chicken. 12. Slow Cooker Greek Stuffed Peppers. 14. Crock Pot Beef Tips in Mushroom Sauce. 15. Crock Pot Taco chili. 16. Crock Pot Cherries Jubilee. 17. Crock Pot Honey Sesame Chicken. 18. Rotisserie Chicken in the Crock Pot. 19. Crock Pot Mac n Cheese. 20. Slow Cooker Sesame Chicken. 21. Beer Braised Slow Cooker Pork. 22. Crock Pot Vegetable Beef Soup. 23. Crock Pot Hearty Beef Stew with herbed dumplings. 24. Crock Pot Taco Chili. 26. Smothered Chile Colorado Burritos. 27. Slow Cooker Curried Vegetable and Chick pea Stew. 28. Slow Cooker Pulled Pork. What are some of your favorite crock pot recipes? Please share them in the comments below.